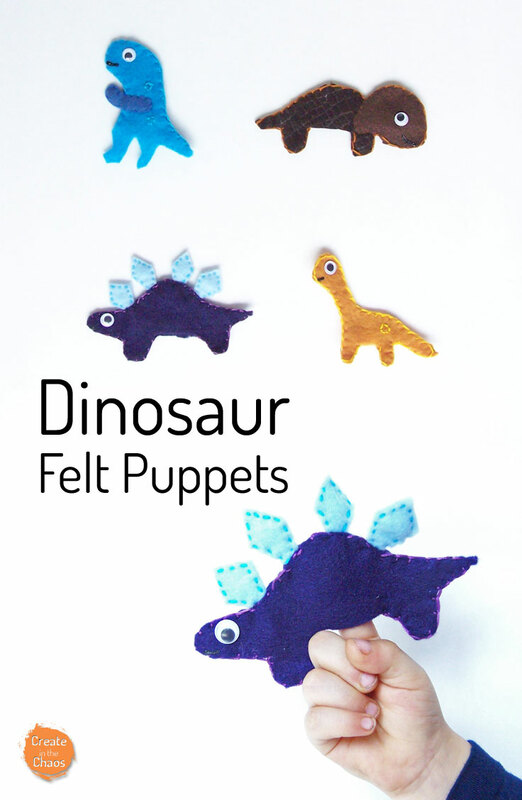 Felt finger puppets are such a simple and fun project to make! 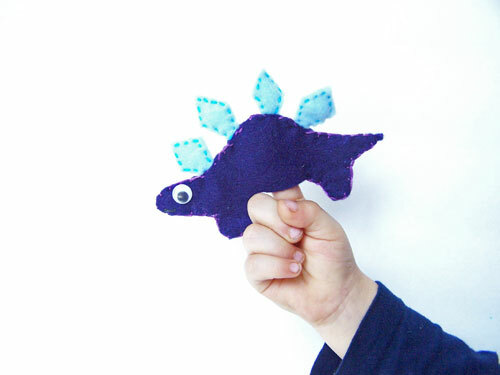 The boys have enjoyed our robot finger puppets and our monster finger puppets so much, I’ve been trying to come up with some other fun felt finger puppets to make. 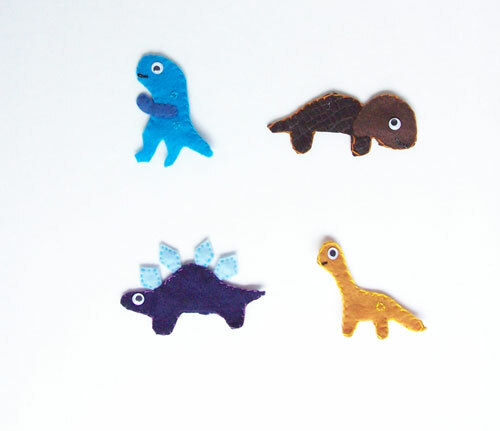 Today I have a tutorial for a set of dinosaur felt finger puppets. 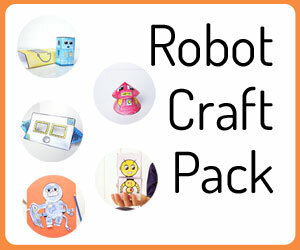 They are super easy to whip together, and make for a great toy to play with. 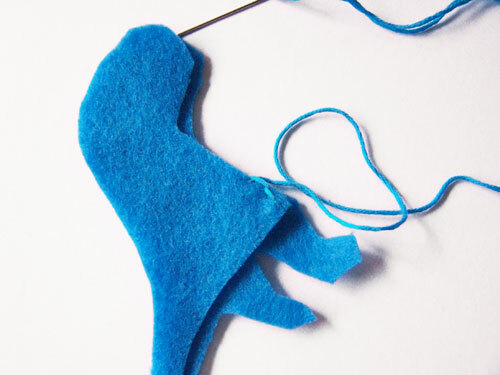 Start by cutting out all your pieces. 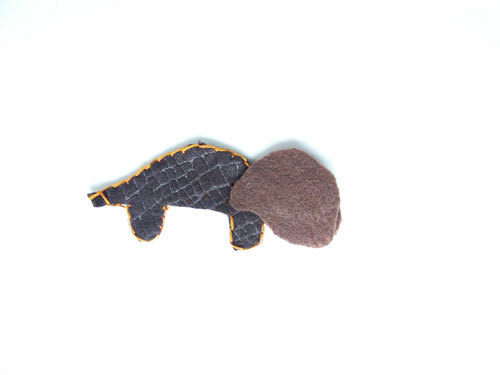 A simple trick I learned from a friend of mine was actually to use a glue stick to glue the pattern pieces directly to the felt. This way they stay in place while you cut them out, but can easily be removed when you’re done. 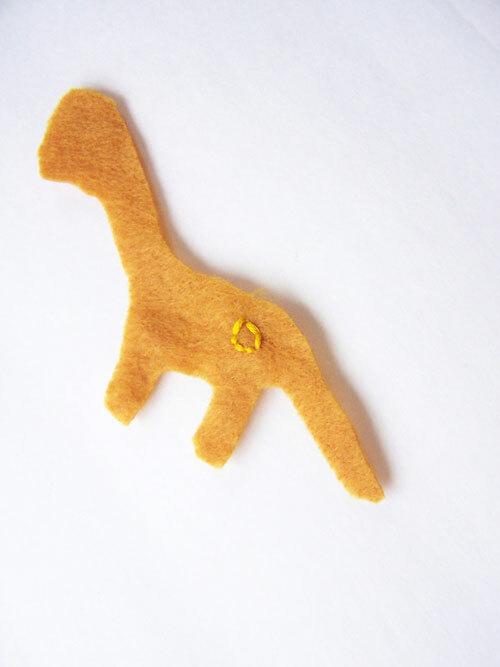 We’ll start with our little orange dino here. 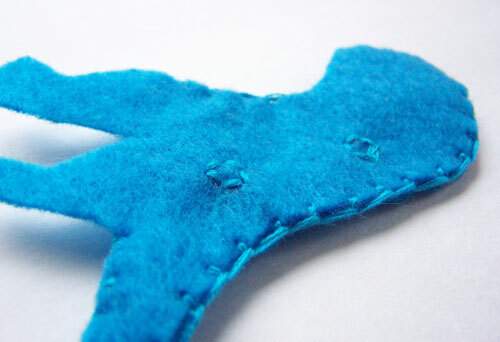 Add any stitches for texture that you want. I did a simple circle. 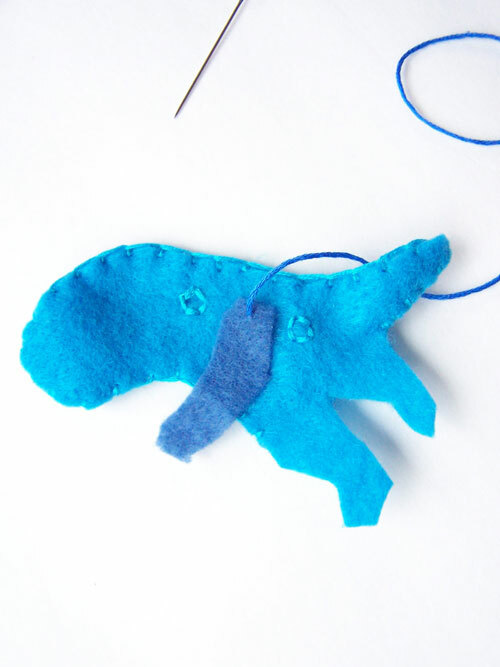 Now blanket stitch around the edge, leaving between the two legs open. 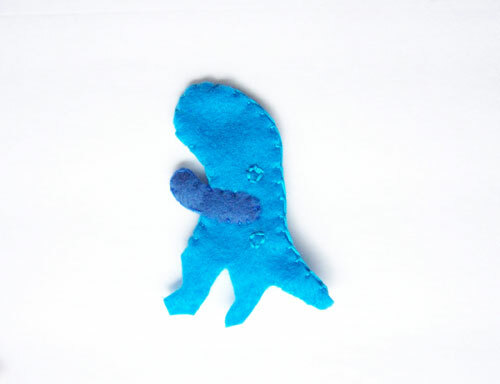 Now let’s move on to the t-rex, which I made out of blue felt. 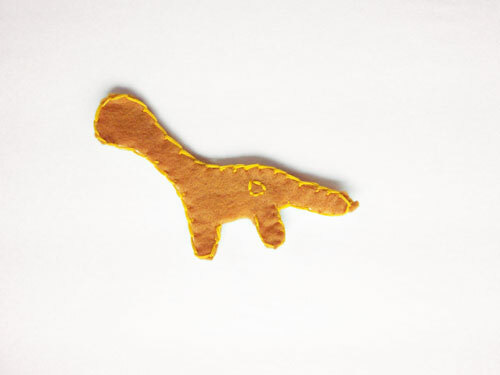 Now I messed up on my t-rex, so the pictures will be a little out of order. 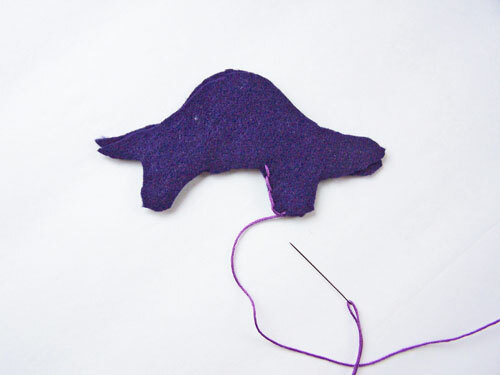 To start, you want to add on any details onto the body of the dinosaur. Here I stitched some simple circles to give him a little texture. 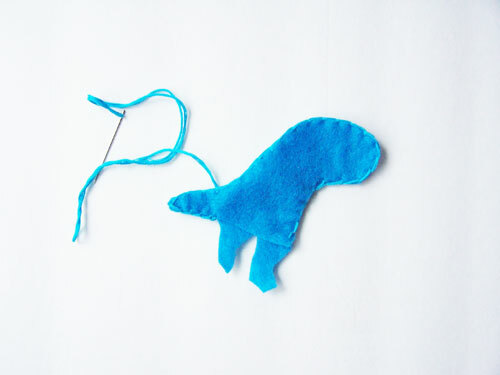 You also want to stitch on the arms. 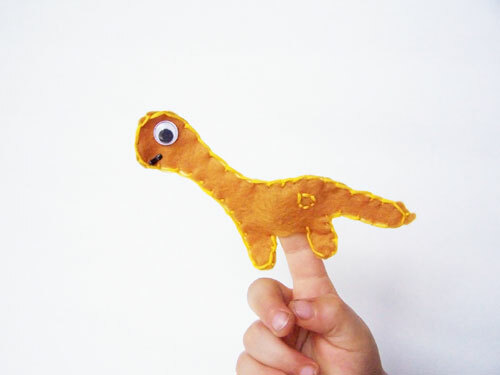 Here’s where I really messed up – I stitched them on after putting him together, which made it really difficult to get a finger in to actually use him as a finger puppet. So don’t make the same mistake I did! 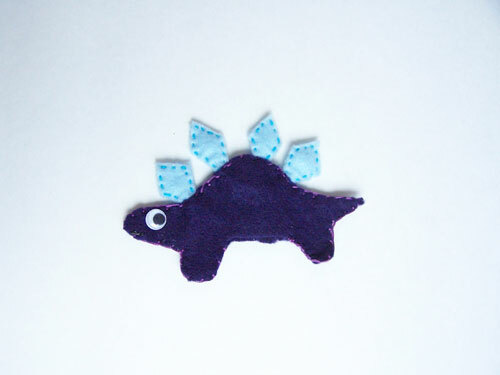 Once you have your arms stitched on, blanket stitch around the edge of the dinosaur, but leave at the feet open. 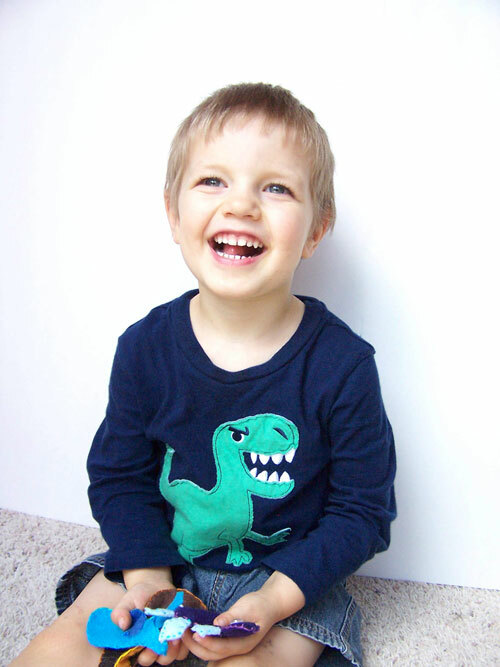 Once he’s done, set him aside. We’ll add the eyes and mouths all at the end. 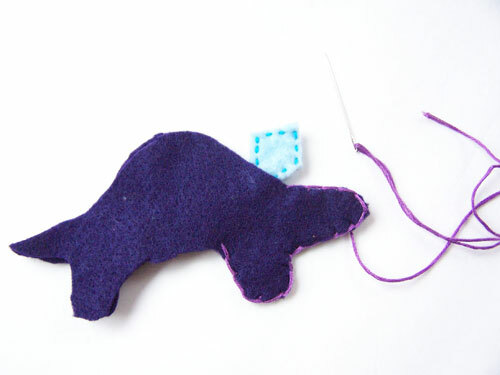 Next we’ll do our triceratops. 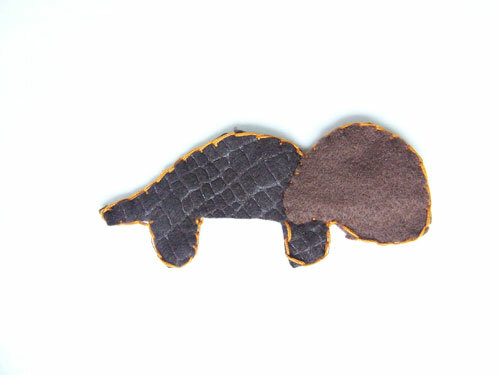 I had some fun textured brown felt which I used for the body, then some plain brown for the head. 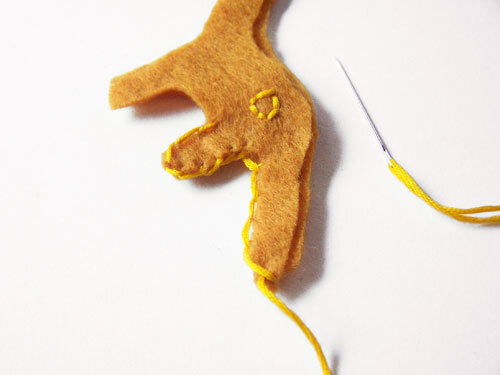 First, blanket stitch around the edge of the body. 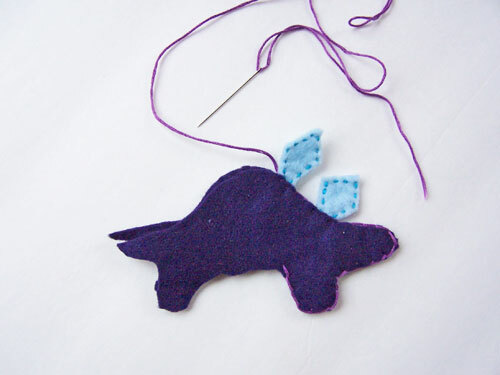 Then place each head piece on either side of the head of the dinosaur. Stitch around the edge of the head pieces. 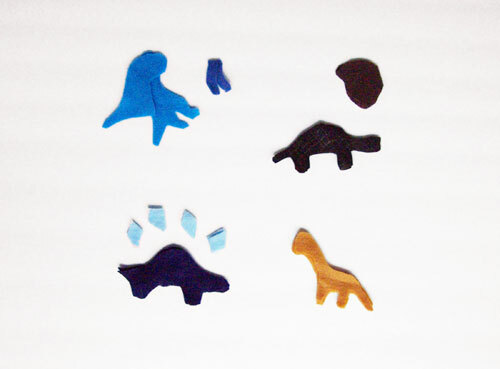 Match up each set of stegosaurus spikes. 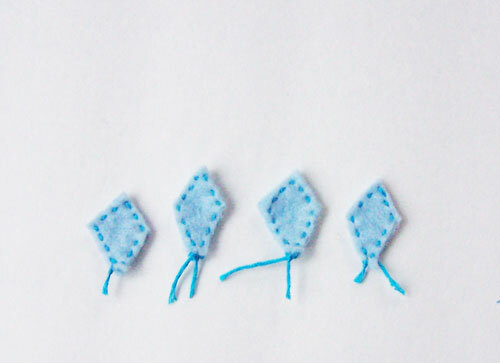 Stitch around each set of spikes. 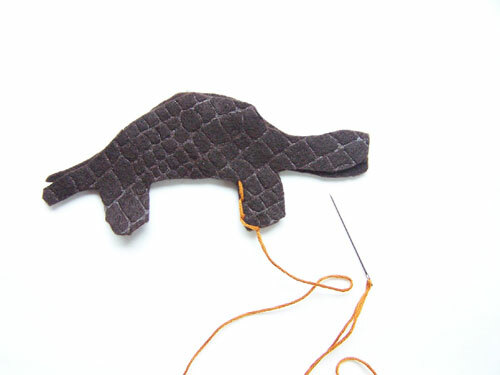 Begin stitching around the edge of the stegosaurus at the feet. 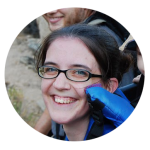 When you get to the beginning of the back, slip one of the spikes in between the two sides of the body. 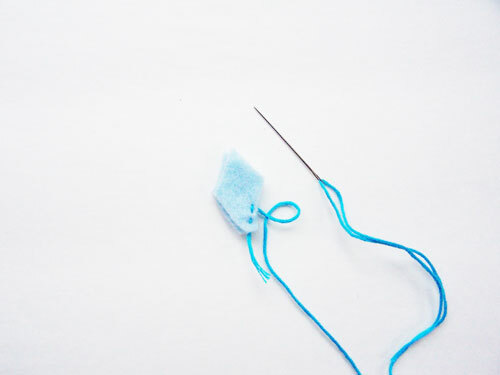 Stitch the spike in as you continue around the edge of the body. 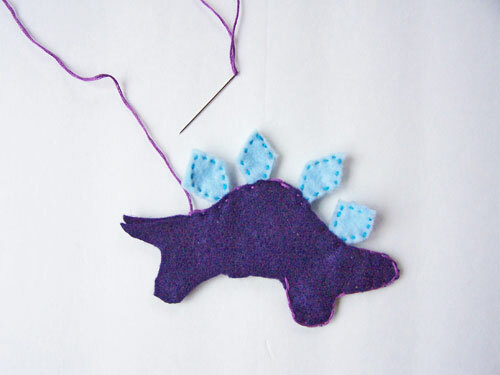 Do the same for the remaining spikes, spacing them evenly around the back of the dinosaur. 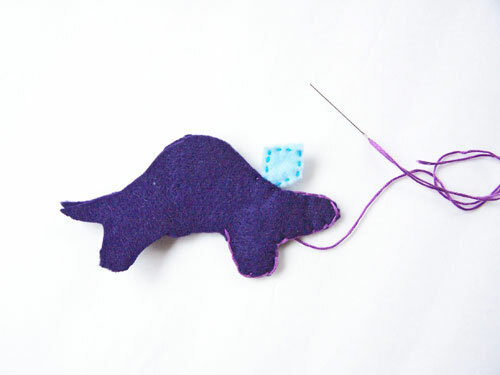 Then continue the blanket stitch around the edge of the dinosaur, leaving an opening at the bottom between the two legs. Lastly, glue on googly eyes and add mouths using some puffy paint. And then time to have some fun! 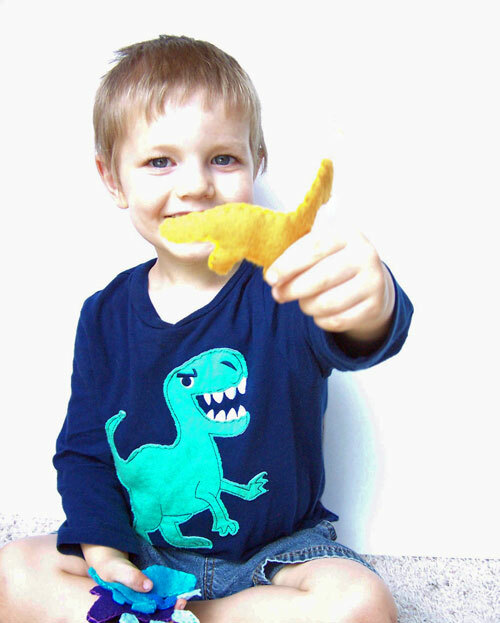 As you can see, Sean loved these dinosaur finger puppets. Saw these on Research Parent’s FB page and had to look it up. 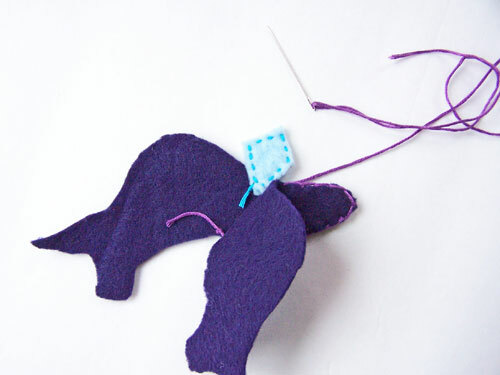 They are wonderful and your post is an amazing step-by-step write up. Just adorable! 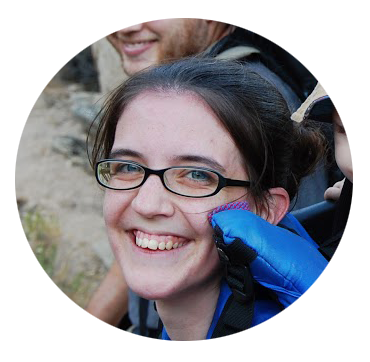 Your site is great fun. Thank you so much for your sweet comment Carolyn! My boys *loved* this project.